See it, report it, get it fixed. 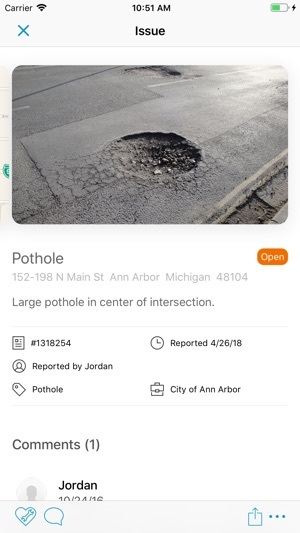 From potholes to tree branches, the City of Ann Arbor’s new “A2 Fix It” system makes it simple and fast to notify City Hall of problems in our community. 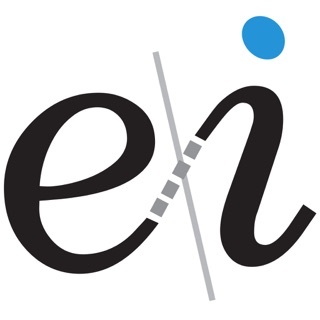 This app provides users the ability to track service requests, their own as well as others, and be notified when issues are resolved. 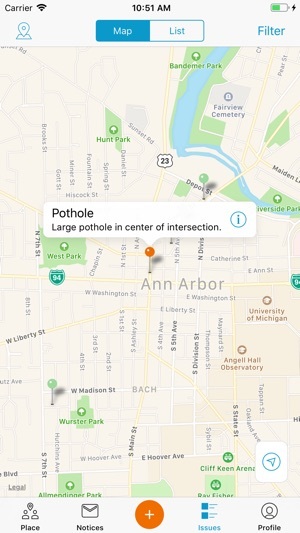 The app’s GPS recognizes your location and has an easy to navigate menu of common issues. 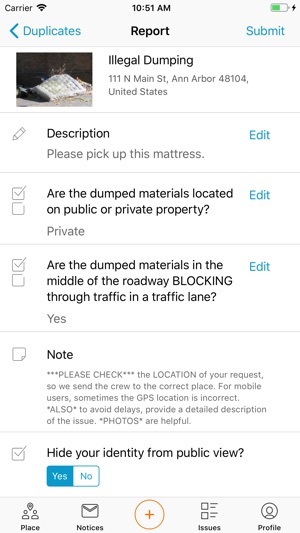 Users can report missed cart pickups, dark street lights, street tree problems, sidewalk hazards, clogged storm drains, graffiti, missing traffic signs, street flooding, park maintenance issues, and much more. More accessible Settings button on welcome screen. Orange button on tab bar to start report. 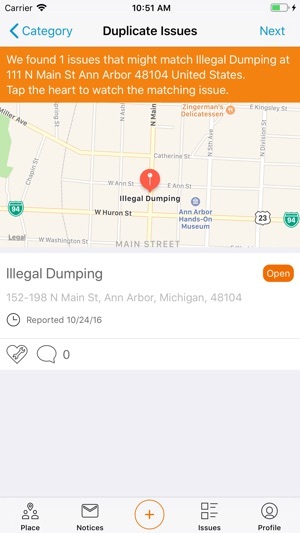 My wife and I use this app frequently to report issues to the city. 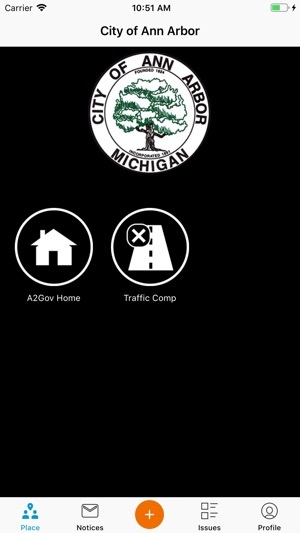 It's quick, works as intended, and allows us to work with both our neighbors and the city to help keep our neighborhood clean and safe.